This video is full of inspiration for smaller spaces from the RHS Malvern Spring Festival 2018. Every time I go to an RHS Flower Show, I’m always amazed by the Show Gardens. The design and construction of these gardens is always so beautiful and skilful. But a lot of people don’t have that amount of space available in their garden. These days, many people live in accommodation that might only have a small patio or courtyard available. Or you might be living in rented accommodation, so you can’t invest time and money in permanent garden features. 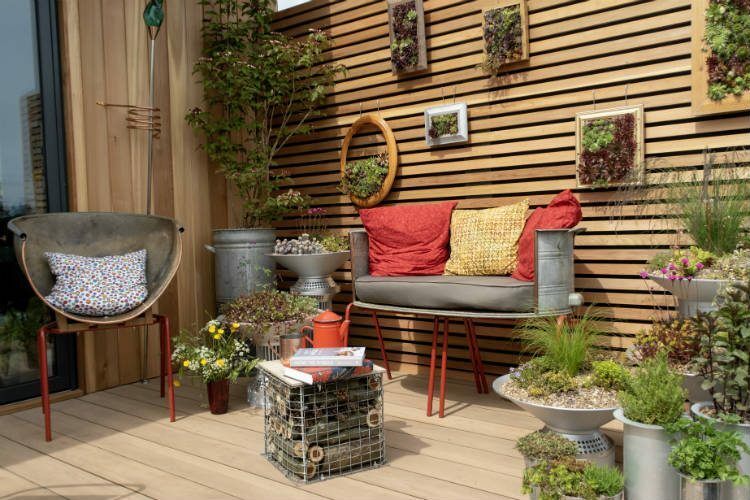 So I was really interested to see the Green Living Spaces Gardens at this year’s RHS Malvern Spring Festival. It’s a new category for this year’s show, which showcases innovative ideas for small-space growing. The designs were full of inspiration for patios, balconies and smaller gardens. Join me for a look around the Green Living Spaces Gardens, and discover which design won the ‘Best Green Living Spaces Garden’ award. And look out for more coverage from the RHS Malvern Spring Festival 2018 coming up very soon. If you enjoyed this video, please give it a thumbs up on YouTube. And don’t forget to subscribe to my channel for new videos every Wednesday at 7pm!